A cider so refreshing, that absolutely nothing is too hot for its rejuvenating powers. That’s the idea behind the latest campaign from Hunter’s, Africa’s largest and most loved cider brand (and the second-biggest cider brand in the world). Called ‘Nothing’s too hot for Hunter’s’, the new campaign aims to evoke the feeling of being effortlessly cool even in the hottest of experiences. The campaign was launched with a new TV ad, produced by Net#work BBDO earlier this month, and is supported by both above and below the line with compelling pieces that bring the concept to life. Aptly sound-tracked by a modern remix of the Saturday Night Fever classic ‘Disco Inferno’, the ad features a super cool roller skating troupe weaving effortlessly around massive flaming obstacles. 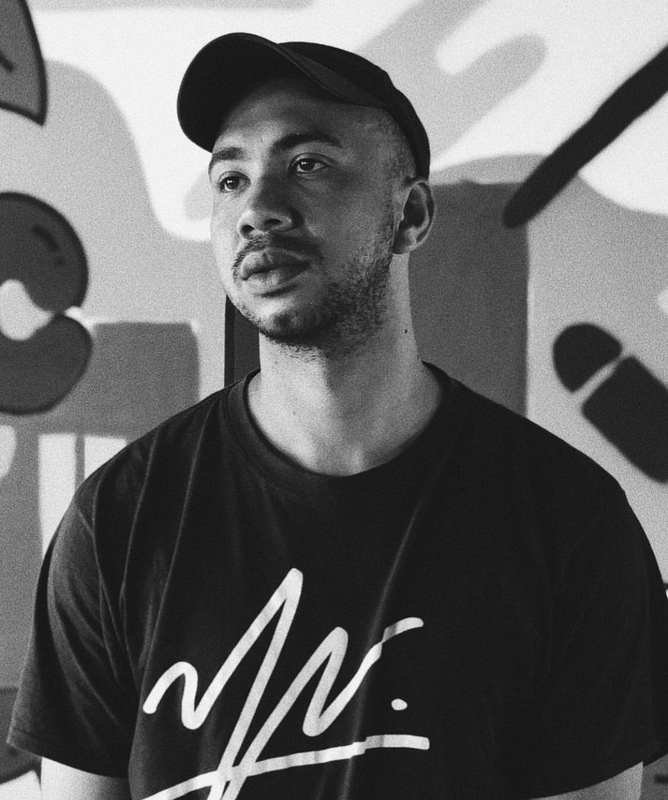 Now to add to this Hunter’s also collaborated with South African illustrator, Russell Abrahams, to develop a one-of-a-kind design on the bucket hat inside the Nothing’s too hot for Hunter’s pack. Below you can read more about Russell Abrahams from Yay Abe in the full Q&A Hunters had with the artist. Tell me more about how you started out as an illustrator and how you got into the industry? I’ve always had a passion for drawing but initially had no idea how to take it further. I decided to study graphic design after High school. During my 3rd year I became one of Design Indaba’s emerging creatives. It was here where I started to meet other illustrators and some industry folk. Slowly, but surely, brands would trust me enough to work on their campaigns. Fast forward 5 years and I am now running a little studio called Yay Abe. We’ve recently moved into studio space so hopefully this year is a HOT one! What are your favorite materials to work with when illustrating? As of late I’ve really enjoyed painting murals. I guess it’s the large scale format that I find intriguing. I use every medium from house paint, inks and spray paint. Have you seen the industry grow, and if so, how? I’ve definitely noticed a change within the industry. I’m seeing a lot of young people take the initiative to create the work they want. This in turn grabs the attention of big clients and allows them to create work that would have taken the youngin’ a lot longer to achieve. I guess the power of social media has come into play. Which is great as it’s allowed young designers access to people who have usually been guarded by gatekeepers. Are people more appreciative these days of illustration and design? And why do you think this is? I’ve noticed a trend happening where illustrators and designers have become the rock stars of the creative world. It’s an interesting dynamic that I sometimes struggle to understand but I guess at it’s core its due to people appreciating good work. It’s a scary position to occupy as one should let the personality overshadow the work. What do you love the most about what you do? I get to make a living off my childhood passion. Explain your Hunter’s HOT design and the inspiration behind it? For the design I used my signature ‘A-Okay’ hand which is holding a match stick. I then decorated the design with ice blocks and water droplets to show the cool side of Hunters. The main aim was to create a pattern which took from SA aesthetics but also push a contemporary pop art voice. It’s a happy-go-lucky design that I hope people can have a conversation about and hopefully smile over it. What’s your Hot? What is your own interpretation of HOT! I feel hot is anything which pushes the avant-garde. From making music or creating sculptures, If one has this mind set throughout the creative process… I’d call it HOT!